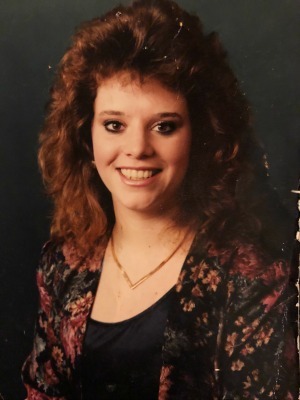 Michele Mayfield Skaggs 49, of Marietta PA, passed away peacefully on March 12, 2018. She was born in Denver, CO on July 30, 1968 and will always be remembered for her kind heart and loving personality. Her family and friends meant the world to her. She enjoyed making cards, writing letters, going to church, and listening to music. She will truly be missed by everyone. Michele is survived by her devoted twin brother; Sean Mayfield, her sister; Cindy Black, her caring children; Robyn and Robbie DiBetta, and Joshua and Jacob Skaggs, and her cherished granddaughter; Gianna Carpentieri. A celebration of Michele’s life will be held on Sunday, March 25, 2018 at 2 PM at the Christian Fellowship Church, 351 E. Market Street Marietta, PA 17547. Robyn and family. I am so sorry for your loss. May she rest in peace. God bless.